Mr. Cunningham handles a wide array of tax issues for a broad spectrum of clients, from highly sophisticated international investment funds to family-owned businesses, to local schools and religious organizations. 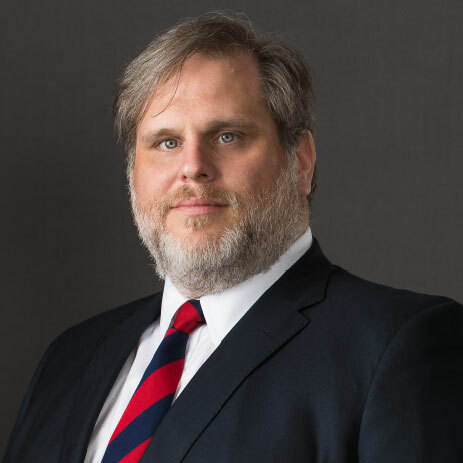 He has practiced in all areas of business tax law, from C-corporations to partnership taxation, from public and private M&A transactions, from tax exempt entities to multi-state tax planning. He has particular experience and expertise in like-kind exchanges and taxation of real estate investments. Prior to his legal career, Mr. Cunningham was educated as a computer scientist and worked for a number of years as an engineer in telecommunications security. He continues to apply the same engineering based practical and results-oriented approach to client problems, for which he has received specific praise from clients. Executed numerous transactions involving changes in the ownership or division of an exchanging entity during the like kind exchange process, including “PIN,” “drop-and-swap,” “synthetic drop-and-swap,” and “TIC” transactions. Managed multiple like-kind exchanges for each of 15 members of an extended family group, all starting with the sale to a single buyer of family-owned assets held by the family through a variety of structures including a Delaware statutory trust (“DST”) formed for the purpose. Structured a series of interrelated like kind exchanges in which the sponsor of a real estate development project used the proceeds of the sale of segments of the project to specialized developers to fund the further development of the long-duration leasing parts of the project. Structured and formed multiple private equity and real estate investment fund vehicles with a variety of investor types with differing tax needs. Structured and assisted in the execution of multiple private equity acquisitions in the oilfield services space and subsequently assisted in additional capital raises and ultimately the restructuring of those companies following the downturn in that industry. Advised multiple start-up businesses with respect to the structuring and formation of nontraditional technology startups including “VC” preferred structures as well as nontraditional approaches. Advised and executed the restructuring of a multi-location medical practice to provide for a succession plan including adding new doctors to the practice while providing equity interests and roles for the founder’s decedents, both with and without licenses to practice medicine. Advised client on the dismantling of a tax shelter abandoned by its creator after the structure in question was discovered to be a “listed transaction” and the counsel that designed it was unwilling to issue an opinion of counsel protecting the client from potential tax penalties. Participated in pretrial mediation and structured settlement of business dispute to provide for the division of the business between its two feuding co-founders with a minimum of resulting tax costs to maximize after-tax assets available to be divided.